An observant member of the public’s phone call to 13FISH (133474) early this week has helped uncover an illegal abalone fishing operation in Melbourne’s inner west. Victorian Fisheries Authority Acting State Manager Operations Chris Angwin said two men were arrested on Wednesday, allegedly in possession of 298 abalone, 291 of which were undersize. “The duo’s haul is nearly 30 times the daily bag limit of 5 abalone per person,” Mr Angwin said. “The arrests came about 48 hours after the call to 13FISH and tireless follow-up work by Fisheries Officers and Investigators to identify the two suspects and understand their methods and harvest routines. “Fisheries Officers intercepted the two men at Altona Reef in the dark early hours of Wednesday morning, having watched them dive prior. 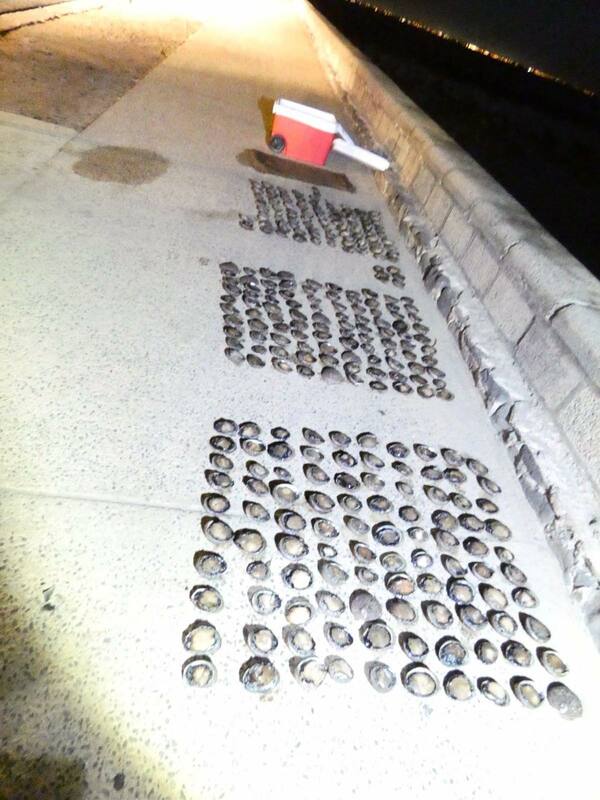 “A thorough search of the men’s vehicle allegedly revealed a bag of nearly 300 abalone. “A search warrant was obtained, and Fisheries Officers subsequently searched their home and allegedly found freshly shucked abalone shells and further evidence of large-scale abalone harvesting. “The men’s vehicle, dive equipment and abalone were seized on the spot. Mr Angwin said this was a great example of 13FISH working at its best. If you see or suspect illegal fishing activity, call 13FISH (133474), anytime. You can remain anonymous. Make the call and make the difference!